Maryvale Preparatory Academy opened its doors in August, 2012 with the special mission to bring a Great Hearts education to the underserved families of West Phoenix. Fully public, open-enrollment, and tuition-free, Maryvale Prep began with 140 students in grades K-3, and has grown sustainabley with one new grade each year to now serve 450 students in grades K-7. 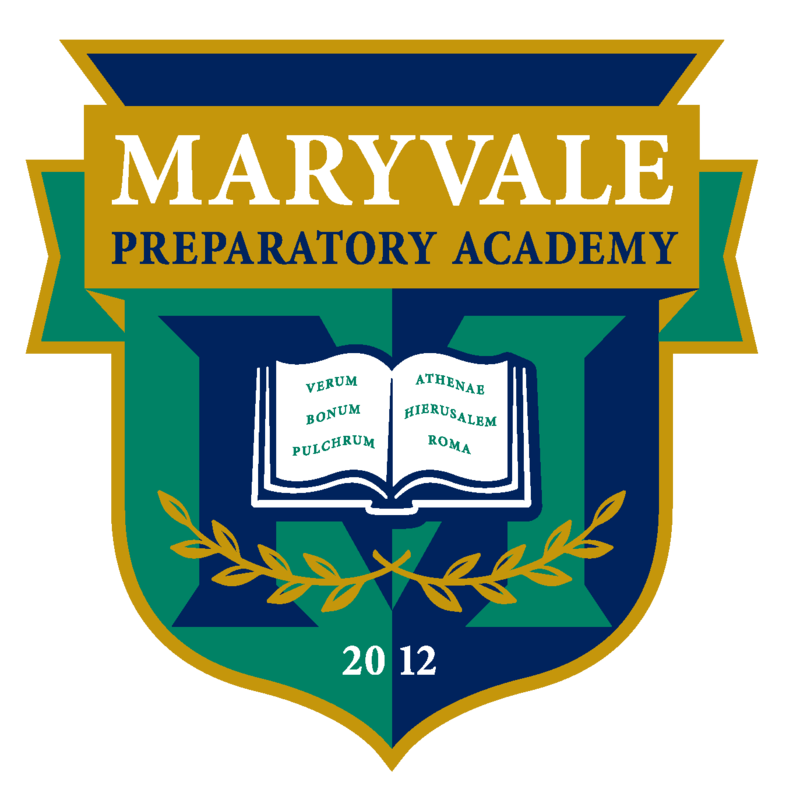 The founding vision of Maryvale Prep was to serve grades K-12 and it plans to graduate its first seniors in 2022. The challenges of providing a prep school education in this community are significant. 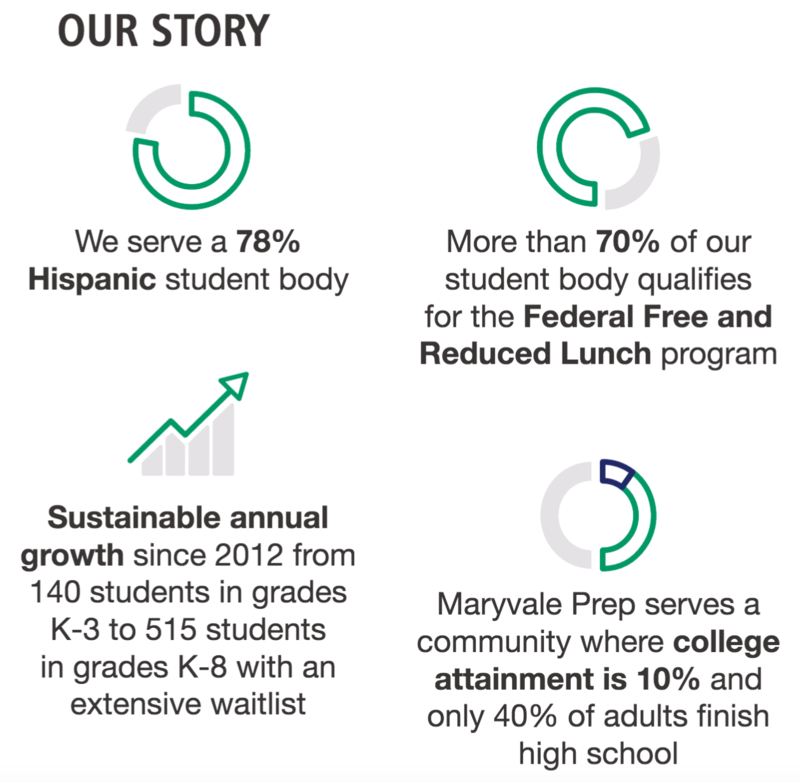 Maryvale Prep serves a community where 40% of adults did not finish high school, less than 10% hold a college degree and more than 70% of students qualify for federal low-income support. On average, students enter Maryvale Prep a year behind grade level. But with the dedication of school leadership and the tireless commitment of its teachers, Maryvale Prep is delivering on its promise to the children and families it serves. The academy is a beacon of hope. Last year, Maryvale Prep outperformed 19 of 20 schools in the surrounding Cartwright School District in math and 19 of 20 schools in English Language Arts, according to AzMERIT results. Among 173 school serving at least 70% low-income students in Phoenix, Maryvale Prep ranks #8 in English language arts and #5 in Math. Thee families of the Maryvale community have embraced this opportunity for their children, and at present there are another 400 boys and girls on the waitlist. But Maryvale Prep is running out of room. In 2017, Maryvale Prep will be maxed out in its original church-leased campus on 63rd Avenue and Indian School Road. 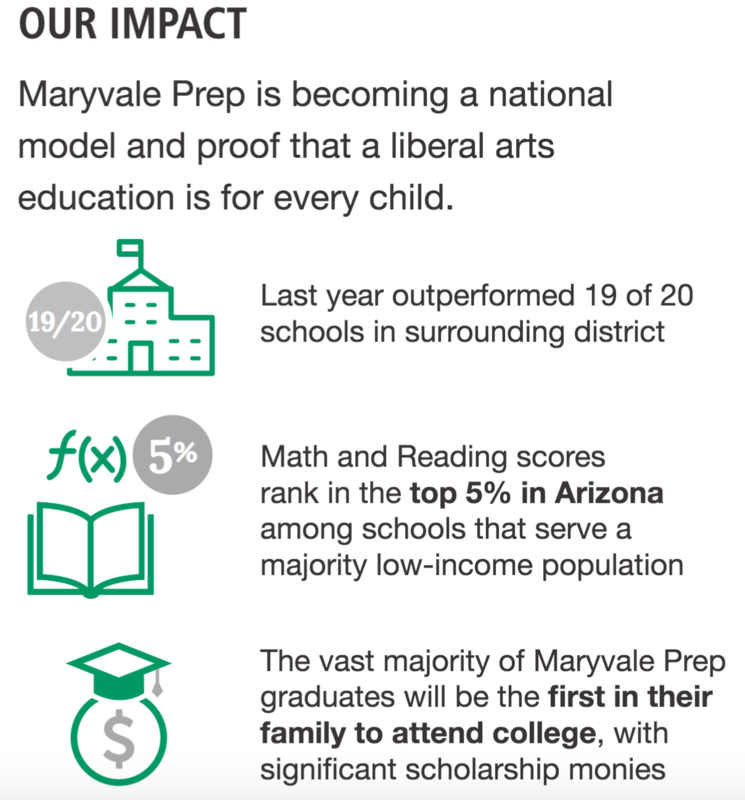 Only with the construction of a new upper-school campus at 47th Avenue and Camelback Road will Maryvale Prep be able to achieve its full vision. 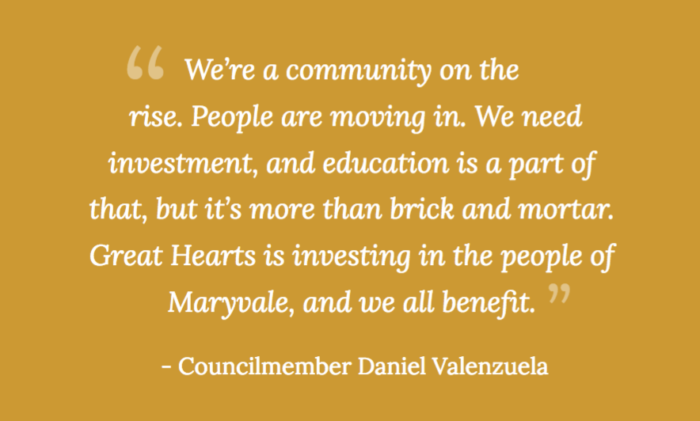 To learn more about how your family can help build the Heart of Maryvale, please contact Genevieve Peterson at (602) 438-7045 or by email at GPeterson@greatheartsaz.org.